I love this outfit! It was so fun to make and I had been sitting on this electric blue formal fabric forever… Now, I know that this is not your usual steampunk color, but they had color in the Victorian times too! 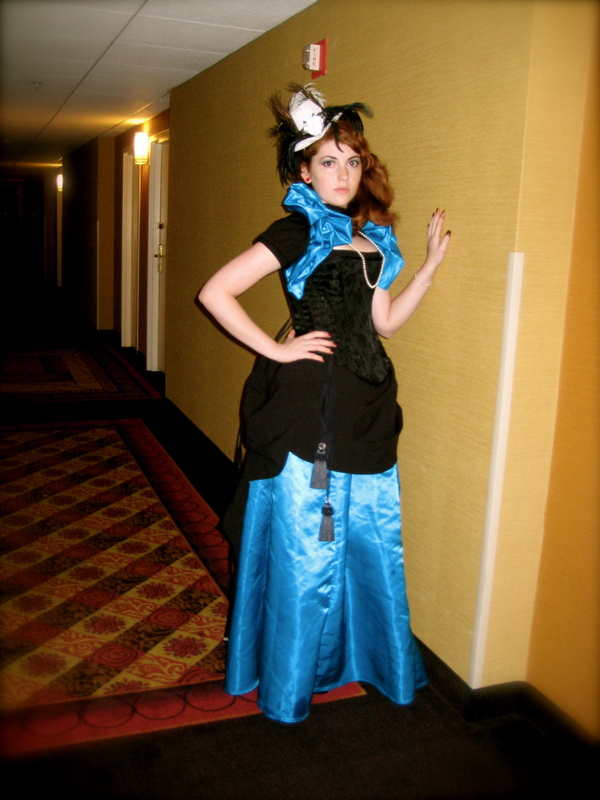 This was super fun to wear at SPWF 2010, and I hope to break it out again this summer!